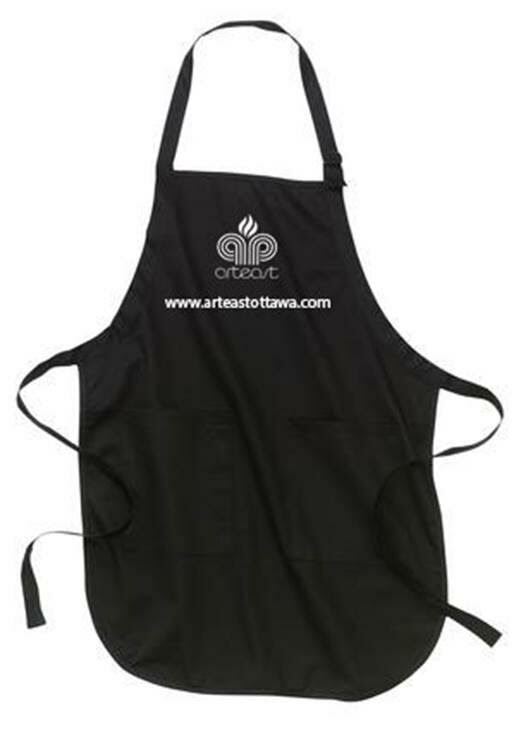 Chance to win a free apron as one of the many door prizes at the GWA meetings. Available for purchase at “Grow with Art” meetings for only $15.00 each.!!!!! St-Laurent Library, in conjunction with Arteast, is proud to present an exhibition of paintings by Ottawa artist Mary Gourlay. 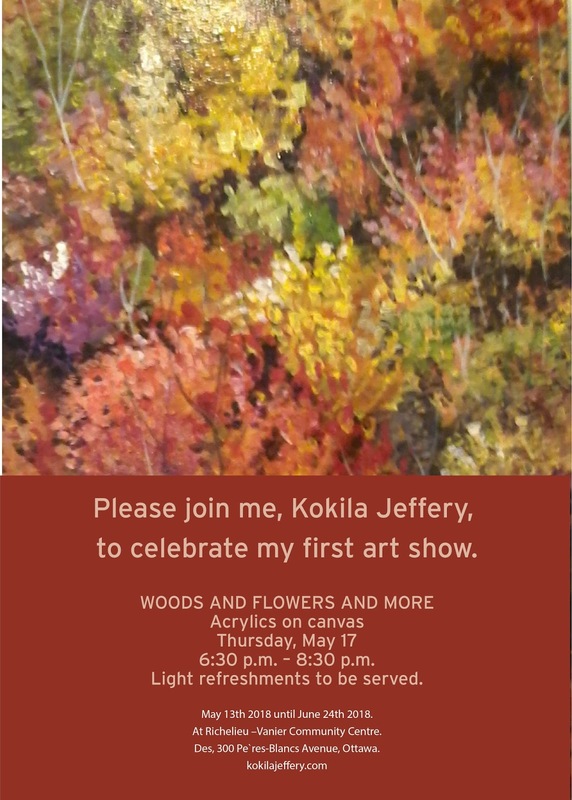 This solo show is titled Rock and Water and runs from April 6 to June 22, 2018. This collection of oil paintings represents places the artist has been over the past two years - locally in the Brownsburg area of Quebec as well as further afield in the Adirondacks, Georgian Bay, and the Frontenac region of Ontario. 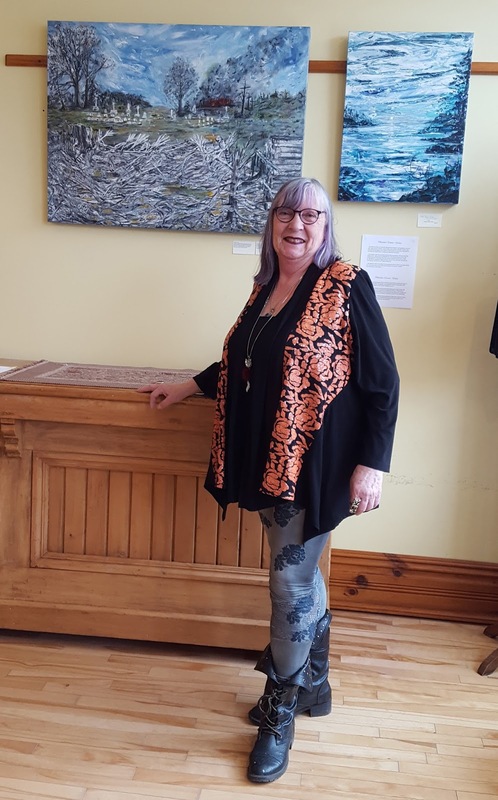 Beginning with sketches painted plein air, Mary’s work is bold and expressive, drawing the viewer into the magnificent landscapes of the Canadian Shield. Lise Guindon is showing eight of her works at the Clarence-Rockland Y, 1525 du Parc, Rockland, ON until April 26th. The Complex is open 6 a.m. to 10 p.m. weekdays and 8 a.m. to 6 p.m. on weekends. 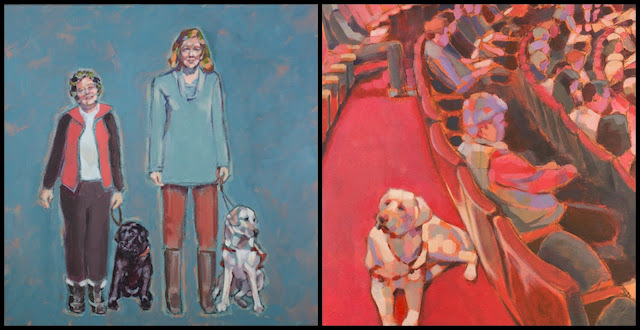 The show is put on by the Arts and Culture Committee of Clarence-Rockland. Arteast members Danielle Beaulieu, Doreen Hardiman, Patrick Imai and Anne Warburton are participating in the Navan Fine Arts Exhibition & Sale April 21-22 at the Navan Arena, 1295 Colonial Road, Navan. Works for sale include paintings, weaving, wood art, fused glass, garden sculptures, fibre art and much more. The show runs 10 am - 4 pm, donations will be accepted for the Orleans-Cumberland Community Resource Centre. 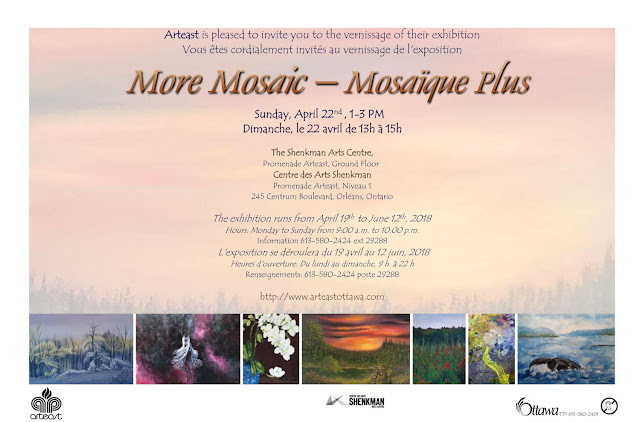 A number of members will be showing their paintings at the Manotick Art Association's "Inspirations" art show and sale next weekend, Friday, April 13 - Sunday, April 15.